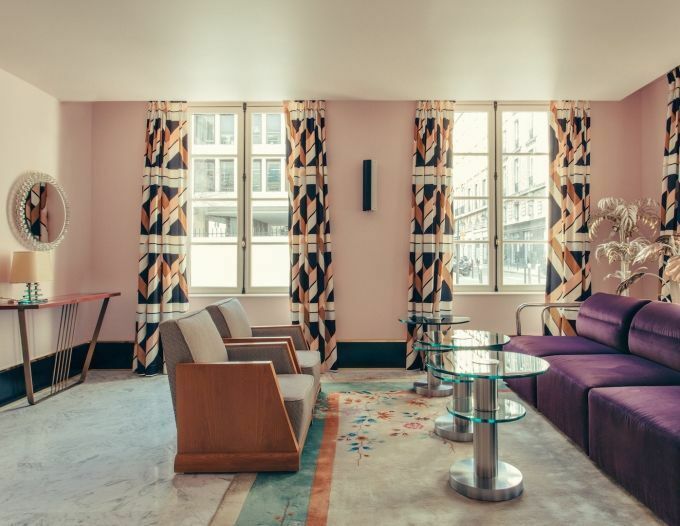 In the heart of Paris, just steps away from the Opera House, the Louvre, theatres, boutiques and galleries, Hôtel Saint-Marc offers an ultra-chic paradise where luxury, design and discretion come together. 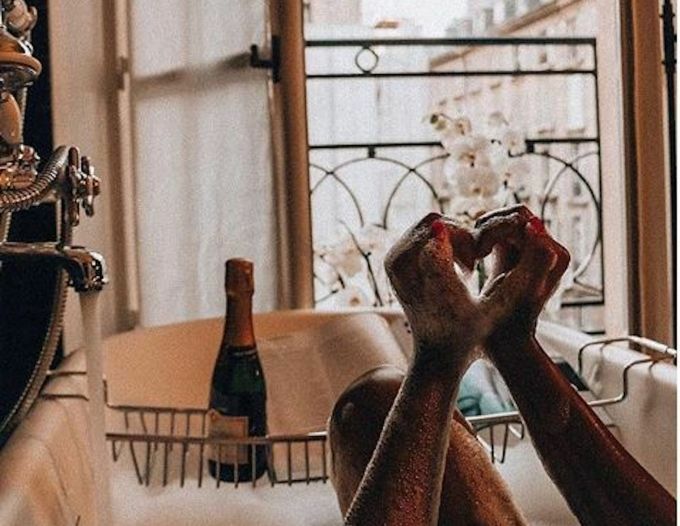 Seduced by the elegant and festive history of this secret 18th-century hôtel particulier [private hotel] that is considered a piece of French heritage, and inspired by a passion for Parisian culture, we dreamed of a place where spirit and beauty come together with meaning and refinement. We entrusted the full decoration of the Hotel to Ditmore Studio. To join together the flesh of History and the breath of our time. By combining vintage furniture with tailor-made creations, items found at flea markets with signed objects. We pride ourselves on being welcoming and committed to making our guests happy. The Hotel Saint-Marc was conceived as haven of beauty, tranquility and hospitality where each guest can enjoy a unique and personalized experience. At the Hotel Saint-Marc, we love to welcome you, to share with you and to instill within you a passion for discovering new horizons, new places and new possibilities. We love design and style. 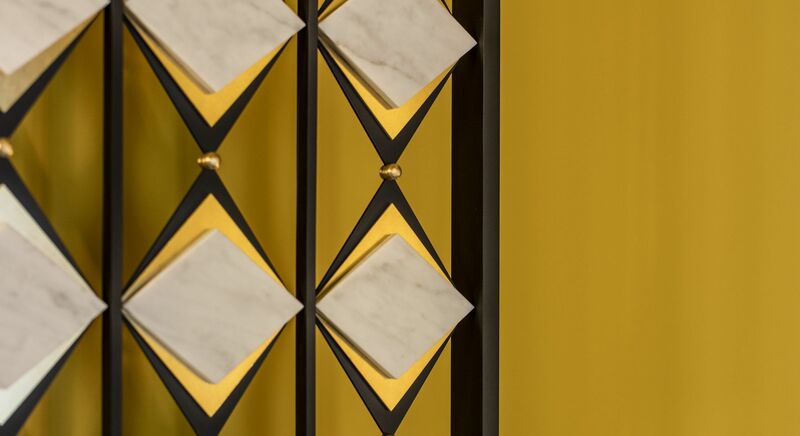 We love the world of Art Deco, with its subtle luxury and noble materials, its polished, chiseled and streamlined look, its fabrics and colors. We love the way it inspires you to let yourself go and give in to its nonchalant elegance, to the art of being yourself, in harmony and beauty. It is a juxtaposition of relaxed and chic, understated and extravagant, whimsical and finely crafted. We love to subtly interlace a respect for your privacy with our warm hospitality. We love to offer healthy, fresh products that are homemade or prepared by our local artisans. Depending on the time of day, we will bring them to your room or serve you in one of our lounges, at the bar or in the garden. We love offering champagne, wine and soft drinks for you to enjoy while celebrating in one of our lounges or in our garden under Paris skies. We love serving our guests, in our lounges or at the bar. We also love the fact that you can host a dinner for your friends or a "private" reception in our dining room, in the garden or at the Spa. We love visits to Paris to discover plays that are featured next door, concerts, exhibitions, restaurants, fashion weeks, as well as art and design sales. We love Parisian life. We love cool elegance, people who are open-minded, friendly and bold. We love designers, creators and artists. Above all, we love delighting our customers. This is the spirit of the Hotel Saint-Marc. From our staff to our spaces, everything and everyone is dedicated this end. At our hotel, our wish is for you to experience a sense of freedom and tranquility and to fulfill all your desires.